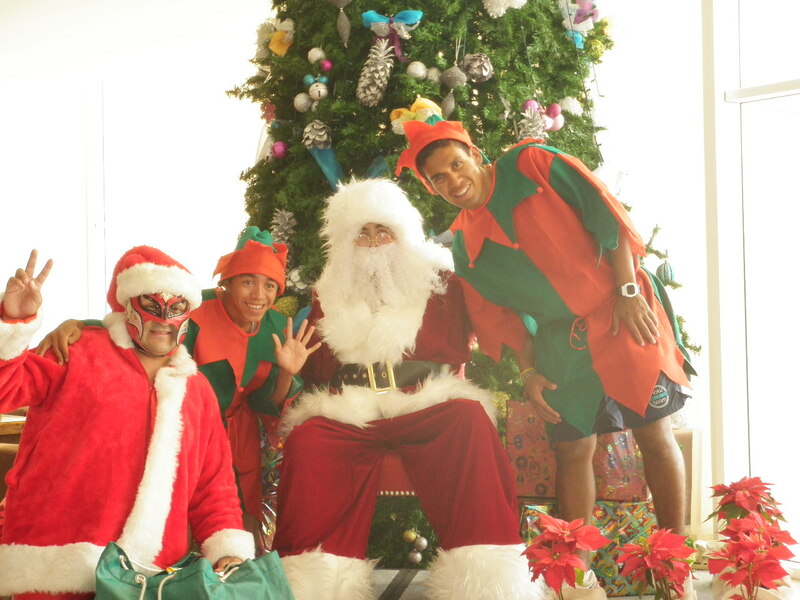 We’re gearing up for a very happy holiday season at Now Larimar Punta Cana, where even Santa will be ‘living in the Now’ this year! This is a very special time for the resort because it is our first Christmas celebrated at Now Larimar since the resort just opened in the spring. White Beach Party, Pool Area, 9:15 p.m.
Christmas Movie Night, 7:30 p.m.
Christmas Mass, Theatre, 11 a.m. Writing Letters to Santa, Explorer’s Club, 11 a.m.
Santa Letter Send Off, Explorer’s Club, 3:30 p.m.
Christmas Cocktail Party, Now Plaza, 5:30 p.m.
Christmas Circus Show, Now Plaza, 9:15 p.m. Arrival of Santa, Motor lobby, 11 a.m.
Santa Gift Delivery, Theatre, 11:30 a.m.
Santa vs. Guests Beach Volleyball, 4:30 p.m.
Live Singing, Now Plaza, 7:15 p.m. The Now Chef Contest, Now Plaza, 8:30 p.m.
“Michael Jackson” Show, Theatre, 9:15 p.m.
Farewell 2011 Dinner, 6:30 p.m.
New Year Parade, Now Plaza, 8:30 p.m.
Live Music & DJ, Now Plaza, 9:45 to 11:45 p.m.
Fireworks, Now Plaza, 11:45 p.m.
Special 2012 Breakfast, Carnival Buffet, 7:00 a.m.
Special 2012 Brunch, Castaways, 9:00 a.m. This entry was posted in Now Larimar Punta Cana and tagged beach vacation, Christmas on vacation, holidays in the Caribbean. Bookmark the permalink.